Pre production has started on the feature from up and coming filmmaker and activist Natalie Bible’. Quickly becoming “one to watch for “ in the movie industry this talented young woman has acquired a “who’s who” in horror and genre talent for her feature WILLIAM FROSTE. The film as best described by Bible “I intend to create a gritty and horrifically stylized film that is visually captivating, emotionally terrifying, and diabolical on every level.” While we are not sure what that all entails the list of people connected to this film is enough to raise some eyeballs on what to expect. It is also noted that Sherri Moon Zombies “Total Skull” line will also be featured in the film. By bringing together cast members from successful horror films and franchises, such as “Halloween,” “Friday the 13th,” “A Nightmare on Elm Street,” “Pet Sematary,” “I Know What You Did Last Summer,” “The Devil’s Rejects,” ”The Hills Have Eyes,” ”Child’s Play,” “Night of the Living Dead,” “The Hatchet,” ”Helter Skelter,” and “The Texas Chainsaw Massacre,” “William Froste” is sure to be a film on every horror fan’s radar. 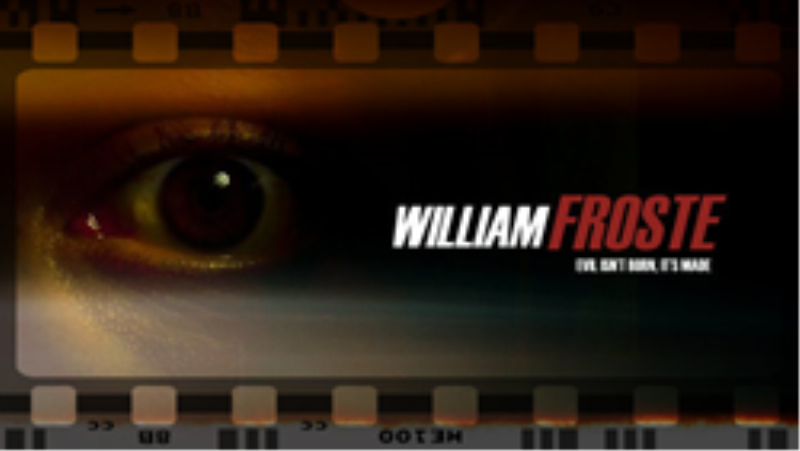 “William Froste,” written by Vance Savage and Produced by Absinthe Productions, LLC, presents the ultimate dichotomy of innocence vs. evil, and will leave an audience questioning their own moral convictions and seeking answers. The film begins production in Palm Springs and Los Angeles in September. For more info, please visit the William Froste Official Facebook Page and look for more updates soon!